Nearly 5 million children lack access to musical instruments across the U.S.. On, Tuesday, November 27th VH1 Save The Music (STM) and Viacom are partnering to help change that in honor of #GivingTuesday -- a global day of giving fueled by the power of social media and collaboration. For over 20 years, VH1 Save The Music Foundation has been committed to helping kids, schools, and communities reach their full potential through the power of making music. The benefits of music education are well-known, from improved academic performance to stronger self-esteem. The VH1 Save The Music Foundation builds sustainable music programs in public elementary middle, and high schools to ensure every child in America has the opportunity to play an instrument and thrive in a music program led by teachers who have access to the necessary training and resources. Learn more about upcoming performances by STM grantee schools at Viacom offices across the country and celebrate #GivingTuesday with an online donation to VH1 Save The Music at vh1savethemusic.org/givingtuesday or Facebook. Save The Music grantee school: PS/IS 30 Mary White Ovington from Brooklyn. These students received a Core Band Grant from Save The Music Foundation in 2017. The choir performing on #GivingTuesday will be led by music teacher, Thiessen M. Charles. Save The Music grantee school: Park Place Community Middle School from Brooklyn. These students received a Core Band Grant in 2014 and a supplemental instrument grant in 2016. The choir performing on #GivingTuesday will be led by music teacher, Mark Sackmann. Save The Music grantee school: Amelia Earhart Elementary from Hialeah, FL. These students received an Intro To Music grant this past September 2018. The fifth grade choir performing on December 13th will be led by music teacher, Kristy Pagan. Save The Music grantee school: Stoddard Elementary in Anaheim, CA. 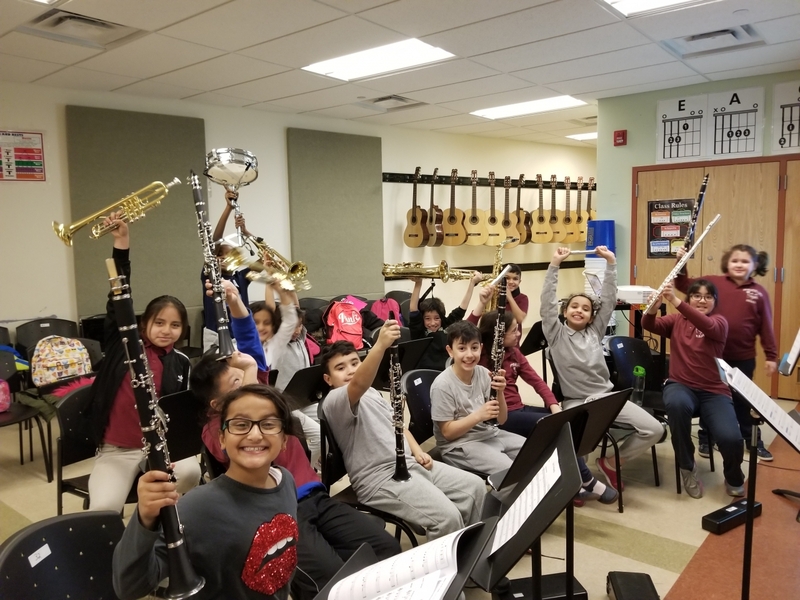 These students received a Core Band Grant this past September 2018. The Stoddard Elementary Choir is a group of 45 talented and enthusiastic 5th & 6th graders from Anaheim who will be performing on December 7th, led by music educator Grace Kwon. They are looking forward to spreading holiday cheer in Hollywood.